We have two primary needs in the volunteer department – foster homes to take care of dogs while they await new homes and transporters to get dogs from their original home to the foster home. 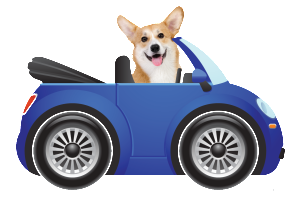 Foster homes – We need good homes with corgi savvy people who can give a rescue corgi a place to stay, evaluate his or her personality and teach basic manners if necessary. Foster homes arrange for necessary veterinary care, but all vet and medicine expenses are paid for by LPWCR, Inc.
Foster home volunteer must fill out the following Foster Home Agreement form and then we will schedule a home visit. Transport – We need people to help move dogs to foster homes. This is usually done in legs, sort of like a relay race, with each person transporting the dog part of the way toward his or her destination. Compensation can be provided for millage. Transport volunteers must fill out the Transport Volunteer Agreement form.